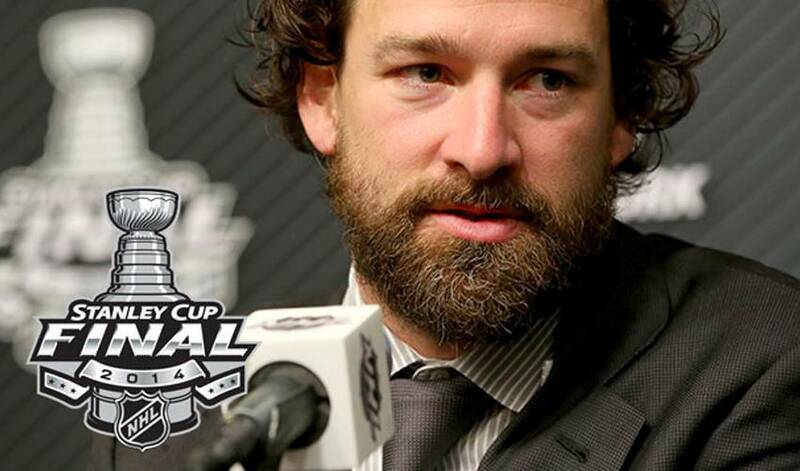 When it comes to closing out a series, one player you apparently want on your team is one, Mr.Justin Williams. Most recently though, he was clutch in the curtain raiser of the Stanley Cup Final. In Game 1 of this year’s NHL championship between Los Angeles and the New York Rangers, Williams, known for saving his best for last, decided to add a twist to his difference-making reputation. The man dubbed ‘Mr. Game 7’ by fans and media, confirmed his clutch status, albeit while changing up the script a bit, as he netted the overtime winner in a 3-2 Kings victory. One that was witnessed by a star-filled Staples Center, with Hollywood celebrities Will Ferrell, Jon Hamm, Larry David, Jim Carrey (and others) taking in the action. Still, it was Williams who once again stole the spotlight in a big game. Heading into the series, Williams had passed Hall of Famer Doug Gilmour for most points (14) in Game 7s. While he’s humbled to see his name atop that list, the only thing that matters to the 32-year-old is winning the Cup, something he’s done twice, in 2006 with Carolina and in 2012 with the Kings. And while he might seem uncomfortable discussing his post-season exploits, his teammates are only too happy to sing his praises. For one of hockey’s difference makers, it doesn’t matter who comes up big, only that someone does. But, nobody seems to do it better than Mr. Game 7 himself. For the Washington Capitals’ team photo this week, Justin Williams and Andre Burakovsky coifed some exceptional hairstyles that drew big-screen comparisons.